Minerva is the Goddess of skillfulness and industriousness, or, to put it another way, Minerva is the divine spirit (numen) of skilled action and skilled thought. Caesar describes Minerva as she who “bestows the principles of arts and crafts”, and so she is the patron Goddess of any profession associated with skilled workmanship, thus carpenters, painters, sculptors, teachers, health care workers, shoemakers, anyone associated with the textile industry, indeed any artisan. Propertius describes Minerva as the Goddess of the chaste arts, and Cicero, Tibullus and Horace all refer to her as a chaste, or maiden, Goddess. Horace calls her “industrious”. She also has another significant aspect, a martial one. Ovid tells us that “fierce wars are waged by Minerva’s hands”, and calls her the “armed Goddess” who likes “unsheathed swords”. Thus in iconography she is typically identifiable by her helmet. Though Mars is the God of war, he is more commonly associated with the bloody violence of war, whereas Minerva is associated with military strategy (skilled thought leading to skilled action), without which no war can be won. Minerva also has a curative function. In The Nature of the Gods, Cicero records that at least one ancient myth designates her as the mother of Apollo, God of healing, inter alia. Similarly, in his Metamorphoses Ovid describes Minerva as having acted as a mother to Ericthonius, an early king of that other great city associated with civilisation – Athens. On a less mythological note, she is naturally associated with medicine, which requires great skill to administer. Hence she was sometimes known as Minerva Medica (healing Minerva). Likewise, as baths were traditionally associated with healing, it is not surprising that the great Roman baths which gave a city its name – Bath, in England – were dedicated to Sulis Minerva. As a member of the Capitoline Triad the ludi Romani (originally 13 September, but by the reign of Augustus extended to over half the month of September) were also sacred to Minerva. These games celebrated the anniversary of the foundation of the Capitoline temple. They were so significant that they were also called the ludi magni (literally “great games”) and were particularly well known for their horse and chariot racing in the Circus Maximus, as well as State sponsored gymnastic competitions and theatrical shows. I have a friend who professes a special affection for Minerva’s Hellenic counterpart, Athena. This woman is tall and good looking, but, more notably, she is intelligent and hard working – some would call her a workaholic. At work she is ambitious and renowned not only for her highly skilled output but also for her confident manner in meetings – she is seemingly intimidated by no-one, and always projects an attitude of confidence and skill. Outside of work she has many friends, and with them she enjoys intellectual debates over a few civilised drinks with food (including foods made from olives). 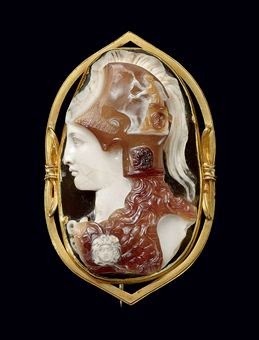 If one brings up any topic remotely connected to Alexander the Great she is hooked into the conversation immediately – for she has an obsession with this great military leader and his legacy. Although she has a beloved she expresses little interest in marriage. 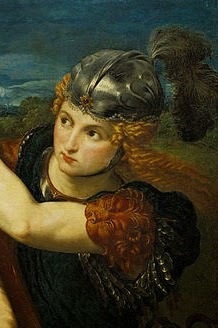 This is a person who is clearly the beneficiary of much that belongs to Minerva’s domain (intelligence, skill, industriousness, and so on), and as if it were not obvious enough that Athena/Minerva is her most natural patron deity, on occasion she wears an owl pendant – owls being traditionally associated with Athena/Minerva. Skilled work (such as teaching, health care, artisans, etc). Visual arts (such as needlework, painting, sculpting, etc). Skilled thought – thus intellect and wisdom. Strategy (especially of a martial kind). Olives, the cultivation of olives representing her agricultural aspect. Thus Minerva dwells at the heart of any civilised society. In our times I think perhaps she is part of another triad – the triad of the arts and the intellect, with Apollo and Mercury being her natural partners. 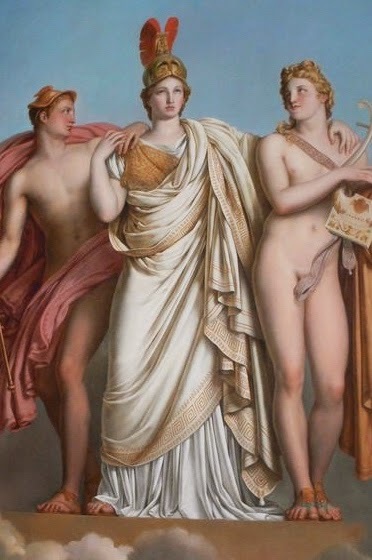 Apollo, for his domain includes music, poetry and dance – in fact he pairs with Minerva as a deity of music (and of healing), for Minerva was said to have invented the flute (Ovid, Fasti); as the skilled Goddess musicians would surely look to her for well constructed instruments, if not skillful playing. Mercury is another partner, for his domain includes eloquent articulation, conversation and writing – and so he pairs with Minerva as a deity of knowledge and thence wisdom. But why be confined by three – Bacchus is surely another patron deity of the arts, for he is associated with theatre, and then there is Vulcan, another deity of skilled craftsmanship, and of course genial Venus, who “caused a thousand arts” (Ovid, Fasti) in aid of lovers seeking to woo. In ancient times it was apparently the case that Minerva was sometimes depicted as being “swift” (Catullus) and having “eyes like a cat” (Minucius Felix cited by Beard 2 at 29) – this I think is meant to imply her quick intelligence, but Minerva is no slouching intellectual. If we used only two words to sum up her domain they would be “skillful industriousness”, or if just one then “skillfulness”. She is that which spurs us to use our minds to engage with the world, and thence to act skillfully and create skillfully. When we look around us we see that humankind has produced many wonderfully clever things, and all with Minerva’s help. Without the will to work, to create and to use our minds to discover the principles of science we would not be that which we are. *Alternately, I have seen references online to the Palladium having been taken from Rome by Constantine - the first Christian emperor - upon the founding of Constantinople in 330 but I cannot thus far locate a reputable source for this assertion. Written by M. Sentia Figula. Find me at neo polytheist, Roman Pagan and on Facebook. My experiences and views of Minerva are far more archaic. While still definitively of the same characteristics as described by the writers of later antiquity, I get more of a sense of primal existence that I don't connect with later representations. Perhaps this is because I'm picking up more of the Etruscan root of her being.